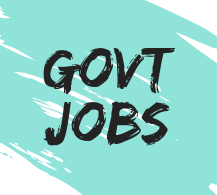 We are one of the leading Sarkari Naukri job portals for the Latest Government jobs. We will provide the Updates of Sarkari Naukri free of cost. Soon we will be going to launch the targeted based Sarkari Naukri information so that every user can get the information about the job which is approximately 100% appropriate for his / her. We aim to provide the Sarkari Naukri Information to all the Citizens of our Nation. Our team will work in all the fields to collect information. Latest Govt Jobs is started its career from 09-April-2017 to till date. In this short span of time, we will face many Ups & Down, Many Hurdles but will keep doing working only for you. Please like our Facebook Page, So that you can get all the updates of Latest Sarkari Naukri.